Existing Business Services | Greater Fort Wayne Inc.
Local service providers. Greater Fort Wayne Inc. will assist your business to navigate development, legal, financial, worker training, and other business competitiveness issues. Confidential site location assistance. Our established relationships with local commercial real estate brokers allow us to quickly locate the right site for your needs. Incentive coordination.We partner with the Indiana Economic Development Corporation (IEDC) to determine eligibility for state and local incentives in order to lower your investment risks to promote new job creation and capital investments. Advocacy. On behalf of our chamber members/investors, our Director of Business Advocacy lobbies to address legislative issues that impact our local economy. International Business Development. Led by our partners at the Northeast Indiana Regional Partnership and the Indiana Economic Development Corporation (IEDC), our economic development collaborators are cultivating relationships to support increased Foreign Direct Investment in Indiana. Local and state industry councils bring together small, midsize, and large companies to collaborate on issues of interest to businesses across the industry. Whether addressing legislative affairs, talent attraction, infrastructure needs, or research and innovation, these industry councils help promote greater Fort Wayne as a competitive place to do business. A statewide industry council promoting innovation and growth in Indiana’s agricultural economy including plant science, animal health and nutrition, high tech agriculture, and human food and nutrition. Arts United of Greater Fort Wayne exists to bring collective focus and support to the creative sector of Northeast Indiana. Many of our employers work together to proactively develop strategies around marketing and talent development via Conexus Indiana. Established in 2010, NIDIA was formed to develop and improve the local defense community’s ability to attract and retain talent. NIDIA has an active member base of nearly 60 companies and partners, which collaborate in order to better serve the defense and homeland security needs of their clients. Key areas of the defense industry represented in Allen County and the Northeast Indiana region include: earth and space satellites, sensors and imaging systems, software-defined radio, military vehicles and components, aircraft electronic controls, C4ISR systems, sonobuoys, petroleum wholesaling, and electronics. 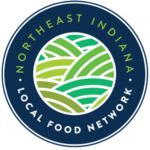 Building on Indiana’s farm to fork tradition, this regional industry council increases the visibility and economic opportunities for local food producers and businesses, so they may expand their sales locally and beyond. Many of our employers work together to proactively develop strategies around marketing and talent development via OrthoWorx, a regionally-based nonprofit. Reference and Marketing Database includes 30 million business profiles and 220 million residents. Ideal for sales leads, mailing lists, and market research. Requires a library card number to use. 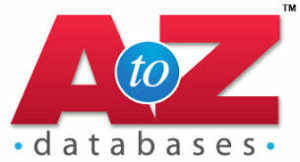 A business-to-business database for connecting buyers with Indiana suppliers. Search our directory of more than 1,300 members/investors.